Please quote us a price for your plastic injection machine Model No.XL-1000 [商品名]. Please send us a quotation [quote] for the items below. for the items listed below? CFR Singapore prices in U.S. dollars. 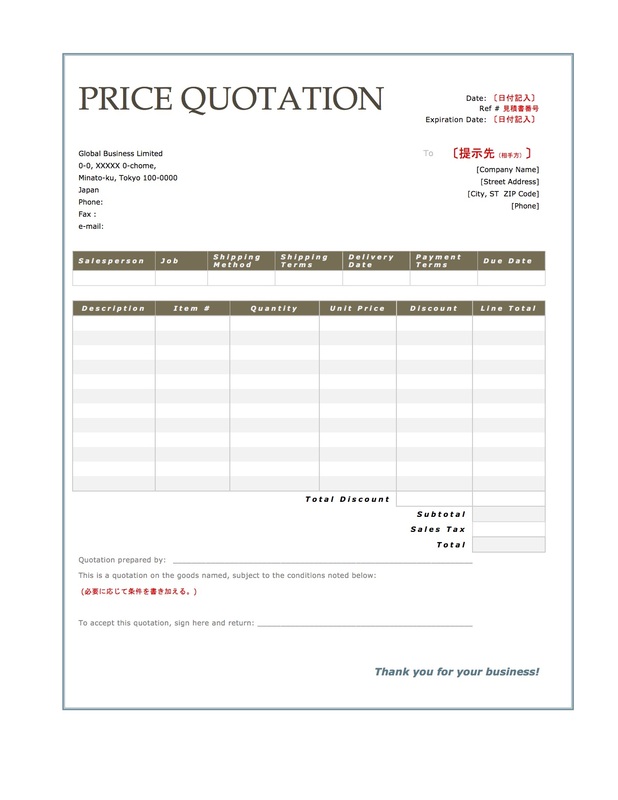 We look forward to receiving your quotation soon. Your prompt [immediate] attention to this matter would be greatly appreciated. at US$220,000.- per unit, on CFR Singapore basis. Please note that the above prices are all subject to change with or without notice. We look forward to receiving your order in the near future. We are looking forward to your first [initial] order. such messages shall become effective only when received by us as readable messages. to reject them and reason to know that they were offered with the expectation of compensation. bound in accordance with the offered terms unless they are manifestly unreasonable. But if the act is wrongful as against the offeror it is an acceptance only if ratified by him. （正式にスペルアウトすると）We confirmed your offer dated June 25, 1985. [Purchase Note] No. 123 for ten (10) units of plastic injection machine. [Sales Note] No. 123 for ten (10) units of plastic injection machine. 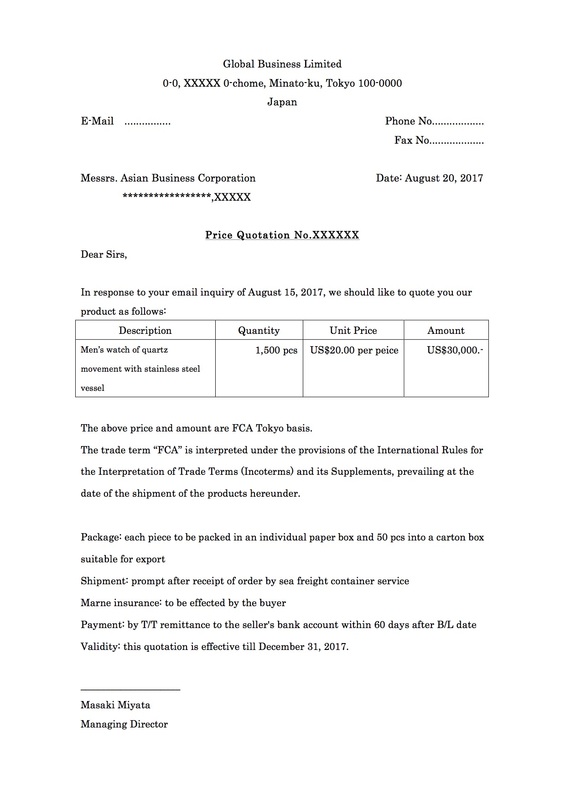 We are pleased to accept your offer of April 20, 2017 [日付], and are sending our Purchase Note [またはSales Note] No. 123 for ten (10) units of plastic injection machine, of which copy is attached herewith as pdf data format.